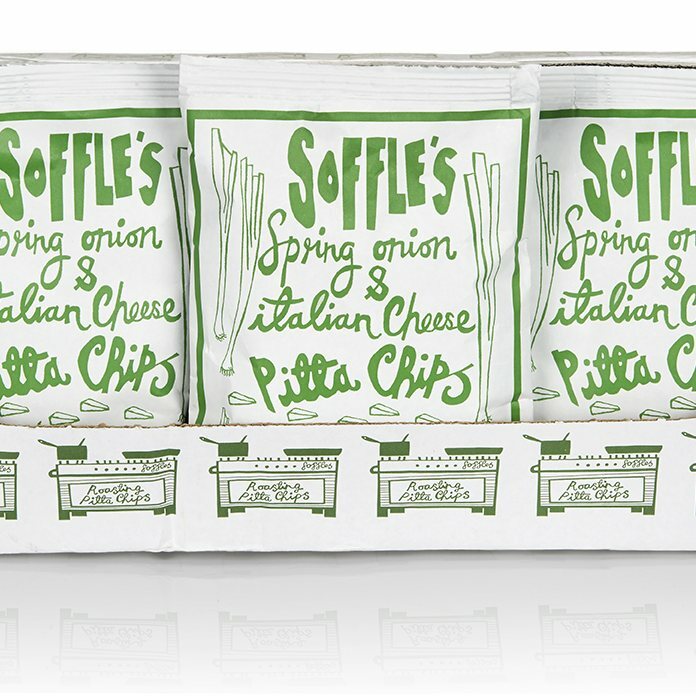 Being in the snack business for a while, Soffle's decided they had to have a cheese and onion flavour on the books but what they ended up with was something far superior! Fresh Spring onion and a mix of fresh Italian cheese and fresh Cheddar, the taste is completely unique and loved by all! 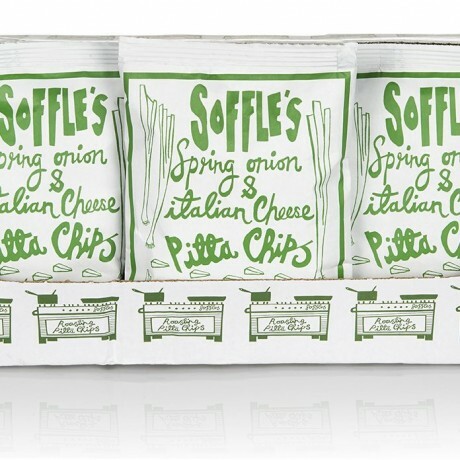 The chips are made by oven roasting pitta bread with spring onion and cheese, extra virgin olive oil, salt, and pepper. 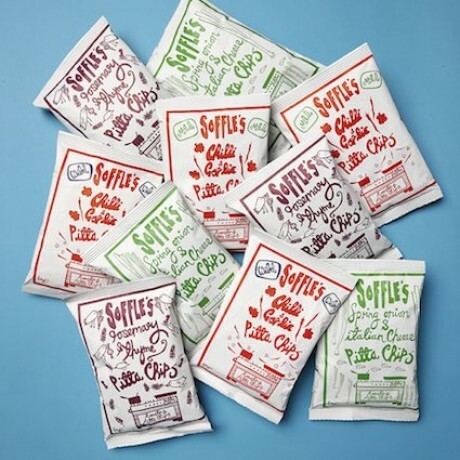 Soffles Pitta Chips are then oven baked until crunchy and delicious. They are great not only with a beverage but taste super dipped in tzatziki, hummus or with a slice of your favourite cheese. The chips contain absolutely nothing artificial or any preservatives 100% natural ingredients that make the best snack! The shelf life of this product is 5-6 months. Available to buy in quantities of 15 bags (60g each).